Attempts to recapture Graham are orchestrated by a variety of cont Based on the remarkable true story of Irish convict John Graham, WHITE SPIRIT is an epic historical adventure set in 19th Century Australia. To ask other readers questions about White Spirit, please sign up. Which part of 19th Century Austrailia? Lance Morcan Early 1820s-Late 1830s. Set mostly in Brisbane and Sunshine Coast (modern-day equivalent is South-East Queensland, Australia). Moilow (husband/father, Aborigine), had a great day. He had killed Big Red enough to help feed the village Kabi tribe (Aborigine) PPL. Gabirri (hunter), & Turo (Gabirri’s BMF, hunter), had also contributed their fair share to the village feast. Mirritji (Senior elder) by tradition always gets the 1st./best choice of the daily kill to eat. Mamba is Moilow’s wife/mother of their 2 boys: Murrowdooling (8), & Carravanty (4). Horror in the Kabi tribe the next day Moilow & Turo had been kille Moilow (husband/father, Aborigine), had a great day. He had killed Big Red enough to help feed the village Kabi tribe (Aborigine) PPL. Horror in the Kabi tribe the next day Moilow & Turo had been killed by the rival Noonuccal enemy tribe. 19th. Century Australia (Pacific Ocean). Britain’s Moreton Bay Penal Settlement (MBPS). Lieutenant Desmond Hogan (English) was using Barega (Joondaburri tribe, aka the tracker) skills to track convicts who had escaped & were on the run. Commandant Lord Bertram “Bertie” Cheetham (MBPS, opium addict), was well-known for his harsh punishment & treatment of prisoners. Beyond Repatriation was the term the British used for the escapees. The Hoogley (3-masted schooner) was used to transport prisoners. Condition’s aboard it were not much better. John Graham (28, Dundalk, Louth County, Irish), Noel Thomas, Leith Donavan (45, 65), Tim Brady (45, Cornishman, ringleader) & Frank Patterson (23, cockney) were 5 of the many convicts being transported. Captain Thomas Tom Marsden (40, MBPS) was in charge of the everyday goings on at the prison settlement. His family is: Missus Vera Marsden (wife/mother), Helen Marsden (19, daughter/sister), Matthew Marsden (11, son/brother), Lucy (maid) & Orana (Quandamooka, Aborigine (maid, Barega’s concubine). Corporal Angus Davies (English), & Private Johnathan Withers, went to get Bertie so he could gander at the convicts. Leith died upon arrival. A crocodile waited in the river as his body was thrown overboard. The Quandamooka tribe & Parramatta Aborigines looked on at awe at the prisoners. Sergeant Charlie Benson (Redcoat) was there to greet them also. There were now 238 convicts. Lieutenant Desmond Hogan & Barega arrived dragging Frank Patterson (23, cockney) behind a horse. Seamus O’Neill (Irish), Pat Kennedy, Luke Donavan, Sean O’Driscoll, Angus McPherson (Scotland), Leith Donavan (returnee), Noel & John were all on the incoming convict list. Paddy O’Donnell & Dan Green (English) greeted the bunch. Angus & Dan got into it. Not real sure who got the worst of the outcome!? What would happen with John & Mamba (f)? Would Helen get married to Lieutenant Desmond? Murrowdooling now of age would undergo the Kabi tribe’s initiation rites. Would Barega ever give up his chase for John? What of the lives of Lieutenant Desmond Hogan, Commandant Lord Bertram “Bertie” Cheetham, Captain Thomas Tom Marsden, Missus Vera Marsden (wife/mother), Helen Marsden (27, daughter/sister), Matthew Marsden (19, son/brother)? Would the battles continue between the Kabi tribe & Quansamooka tribe, Wanjuri tribe, Ngadjonjii tribe, Nootka clan, Noosa clan, & Gureng tribe? Or would there be peace among them someday? What did the 10/15/1833, The Sydney Gazette (newspaper) edition headlines read? I think this book could have been made a trilogy. It was way too long. I am not gonna knock off points for that. This has to be my #1 for book of 2016. A must read. A very awesome book cover, great font & writing style. Wow, a very well written 19th. Century down under historical fiction adventure book. It was very easy for me to read/follow from start/finish & never a dull moment. There were no grammar/typo errors, nor any repetitive or out of line sequence sentences. Lots of exciting scenarios, with several twists/turns & a huge set of unique characters to keep track of. This could also make another great Australian outback adventure movie, animated cartoon, history class PP presentation or better yet a mini TV series. A very easy rating of 5 stars. There has been so much praise over this book, that there's nothing left to say other than it's a long story, but definitely worth it!!! I'd like to say first off that I very, very much enjoyed this historical fiction and it has given me a new love and appreciation for the Aboriginal people! The first half of the book shows them through the eyes of a typical 19th century individual (definitely not flattering and scandalizingly racist!! ), but the second half brings about a HUGE change in the protagonist's character, world-view, and morals. Definitely an amazing book! ABSOLUTELY INCREDIBLE STORY! I was thrilled to read in the I'd like to say first off that I very, very much enjoyed this historical fiction and it has given me a new love and appreciation for the Aboriginal people! The first half of the book shows them through the eyes of a typical 19th century individual (definitely not flattering and scandalizingly racist!! ), but the second half brings about a HUGE change in the protagonist's character, world-view, and morals. Definitely an amazing book! ABSOLUTELY INCREDIBLE STORY! I was thrilled to read in the author's notes at the end of the book that so much of this story is true. (In my opinion, all the "good parts." Aka: the many perilous adventures of John Graham!) Naturally there is dramatization and embellishment throughout the novel, but I feel that it is all appropriate and well done. I also appreciate how authentic this book is. The Morcans clearly did their research well! (Resources are also listed in the back of the book, in case you're interested in further research of your own.) It really is beautiful watching as John Graham's understanding of the Aborigines changes throughout the book. This people group is more than a little underappreciated in our world. The last half of this book moved so quickly that I finished it in only a couple sittings. :D You're bound to be gripped by John's adventures, plights, and mishaps. If I had any doubts about reading this book through the beginning, they all vanished as I reached the halfway point! I regret to say that the first half of this book was almost unbearably long. As interesting as the story is, that first half needs to be pretty much halved! There's just too much "stuff." You have to wade through a ton of unnecessary information simply to get to where John Graham enters the picture. It's good info, but it would be more palatable if it were introduced over time. Also, the writing style is definitely lacking. Even the most emotional parts of White Spirit read as dry and unfeeling. Part of this matter-of-fact approach fits the feel of the book, but it really could use some more emotion and creativity. Overall, but especially because of the last half of this book, I recommend White Spirit to all lovers of historical fiction! John Graham's story is one that everyone will enjoy. This is Lance and James Morcan’s best work to date. It is up there with Colleen McCullough’s Thorn Birds. They have breathed life into a true Australian story about the convicts that were transported to the huge continent to make it habitable. The British Empire had no qualms about convicting people for crimes as simple as stealing a loaf of bread for their starving families. It provided slave labor in their colonies. There they were treated inhumanely; and Lord Cheetham is a typical example. It s This is Lance and James Morcan’s best work to date. It is up there with Colleen McCullough’s Thorn Birds. It struck a chord with me as my Irish Grandfather was one of those convicts who worked in canefields of Queensland. His story is not as dramatic as John Graham’s. He served out his term, married and emigrated to New Zealand. The indigenous people of Australia, the aborigines are one of the most ancient and interesting peoples on this planet. The Morcans have taken great care to showcase their lives and inter-tribal quarrels. Read this beautifully crafted book. I have this huge thing for adventure stories. The more perils, the better, I always say. So, when I heard incidentally about this awesome-sounding fella named John Graham, whose story is told in the doorstopper that I am hereby reviewing, I immediately knew that I had to read this book. And, boy, am I ever glad that I did! This is probably the grittiest adventure story that I have ever had the honor to read. It is well known that Australia, famous for its weird and dangerous wildlife and stunnin I have this huge thing for adventure stories. The more perils, the better, I always say. So, when I heard incidentally about this awesome-sounding fella named John Graham, whose story is told in the doorstopper that I am hereby reviewing, I immediately knew that I had to read this book. And, boy, am I ever glad that I did! This is probably the grittiest adventure story that I have ever had the honor to read. It is well known that Australia, famous for its weird and dangerous wildlife and stunning sights, started out as a penal colony, and it is against this rough, violent background that the real-life saga of John Graham, a nineteenth-century Irish convict, is set. Thus, the book is not for the faint of heart, being filled with often gruesome scenes of whippings and other such punishments. The opening description of an Aboriginal hunting a big red kangaroo is something that could make more squeamish readers flinch. This massive tome screams for a Rated R movie or TV version. Personally, I think Tom Hardy would make an excellent John Graham. But there is also a wealth of priceless, probably otherwise unavailable information about the lives of Aboriginal people, particularly the Kabi, those with whom John forms a very strong and inspiring bond upon escaping his English captors, and there is also a great romance with Helen Marsden, the daughter of the captain of Moreton Bay, the harsh penal colony where a large part of the story takes place. The sheer amount of dangerous situations that Graham gets through makes me think of this book as the Australian version of The Revenant. The story takes from the harsh conditions of the penal settlement to the brutal Lance and James Morcan love to write books about aboriginal peoples of the world. Their novels always intrigue me with their blend of historical fact and fiction. White Spirit is my favorite of all their novels so far. I found the plot interesting. What an eye-opener regarding how the convict camps in Australia were run in the early days. I also enjoyed the insights into the Aborigine people of Australia. It's a long book, but a good story that held my interest. Well written and thought provoking. The history was the best I've read of the early days in Australia for the English. Knowing it was based on truth made it fascinating. I felt angry at the reminders of how half of my ancestors felt it was their right to slaughter the natives but then mankind hasn't changed in all these years. Always thinking might is right. A really good read. For the first time in a long time 5 stars .A gripping , evocative read .Historically ,it was fascinating . Epic in every sense, thoroughly enjoyed this book from start to finish. White Spirit: A Novel Based on a True Story is by Lance Morcan and James Morcan. I had previously read several of their other books which were based on the truth but fictionalized. I had really liked these so when James asked me to review this one, I agreed. I am so glad I did. It is an excellent book with great characters and a simple plot which is made complex by the many subplots. It is not a book to rush through but one to savor. The research done prior to the book was well done and a tremen White Spirit: A Novel Based on a True Story is by Lance Morcan and James Morcan. I had previously read several of their other books which were based on the truth but fictionalized. I had really liked these so when James asked me to review this one, I agreed. I am so glad I did. It is an excellent book with great characters and a simple plot which is made complex by the many subplots. It is not a book to rush through but one to savor. The research done prior to the book was well done and a tremendous amount of it was done. This is what makes their books so marvelous. They do an excellent job of showing us what the outback of Australia and the Aborigines were like. It deals with the penal colony that was the mainstay of Australian livelihood at first. John Graham was an Irishman who was sentenced to seven years’ hard labor in a penal colony in Australia. The trip from England to Australia was horrific but he managed to survive and to help Noel Thomas survive also. They were taken to Moreton Bay which was under the control of Lord Bertram Cheetham whose reputation for cruelty was renowned. He was also addicted to opium. His second in command was Captain Tom Marsden who was more of a humanitarian but followed Cheetham’s orders. Present also was Lieutenant Hogan who wanted to marry Marsden’s daughter Helen. Barega was the native tracker. After a short time at Moreton Bay, Noel and another inmate tried to escape. They were able to avoid being missed by a ruse designed by other inmates. John was not aware of the escape plan until it happened. John had been working was an apprentice to the blacksmith so wasn’t around to hear the plans. He would have been against them anyway. When it was discovered that Noel and the other inmate had escaped, Lieutenant Hogan and Barega set out to find them. Meanwhile, they didn’t believe John didn’t know about the escape so he was flogged and put in isolation. He was then sent back to the quarry. Here he found a way to escape and took it. Now he just had to avoid the trackers and find a ship that would pick him up. How long could he last in the fields and hills of Australia? He had no food, no weapons, no hat, and only tattered clothing. How could he survive? The story continues with many adventures left for John. You just have to keep reading to find out what happens to him. When you are finished, you still want more. The book is fantastic. The only drawback for some might be its length. Personally, I liked it. It tells the whole story and doesn’t leave you hanging. I couldn't put this book down , it captivated me to the very end. Especially since it's based on a true story, so we'll written and so many details that it felt like you are there..just when I thought these authors couldn't write a better book, they came up with White Spirit..so grateful to have read this book..it's full of excitement and bravery, Endurance that most of us can't comprehend. Thanks for given me a great book to read. I love this kind of story a good down under tale. I hope to visit Australia one day and this colourful description of the country's history will stay with me for a good while. A pleasure to read, so very descriptive. Good on you Mr. Morcan. I love your books. Excellent book. Very well written and kept my interest the entire time. This was a great story but it was hard to read at times. It drug in places and made a long story seem even longer. The characters were good and it was an interesting read. This was a great read made even better by the fact that it was based on a true story filled with historical facts. My only complaint was the repetition of some phrases even written the same paragraph. I would defiantly recommend it to friends although it is riddled with violence. 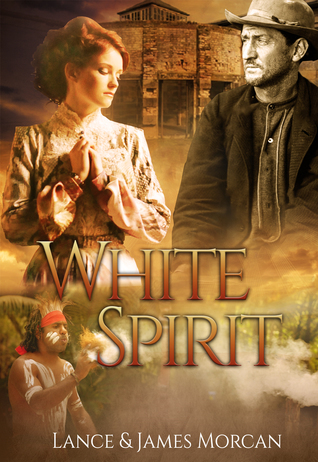 White Spirit is set in 19th century Australia .It tells the story of John Graham an Irish Convict. It is the story of the life he led after escaping from the notorious Moreton Bay Penal Settlement,he found refuge with the Kobi, a Tribe of Aborigines. And the attempts made to recapture him. The book started off slow but got to where it was hard to put down. I loved knowing it was a true story and taken from John Grahams diary. Based on the true story of Irish (convict) John Graham, Set in the 19th Century Australia. John escapes Moreton Bay Penal Settlement and finds refuge with the Kabi. 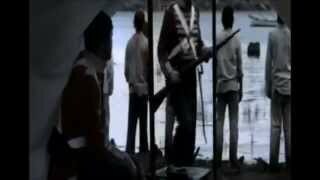 The Aborigine tribe accept him as their own, although this is not an easy task for either of them. He faces many challenges and prejudices as he struggles to find himself, a place to call home, and finding his way in his new homeland. Well written with vivid details, intense prose and interesting history of the Aboriginal people. I got to learn how one man incorporated himself in this tribe, how he lived his life and the obstacles he faced. I learned so many new things about the Aborigines, (I) found John likable and enjoyed this fascinating, compelling story. I highly recommend White Spirit To all. This book read as a fake to me , poorly researched with a reference to 'koala bears' which they are not. The authors gifted their characters modern day thoughts and the information about the aboriginal life was unsubstantiated. No references bar one slip of a book about John Graham. There are many other books by Australian authors that cover this early settlement that are far superior - Kate Grenville's 'The Secret River' and 'The Lieutenant" or Luke Slattery's 'Mrs M' for example. Much of aborig This book read as a fake to me , poorly researched with a reference to 'koala bears' which they are not. The authors gifted their characters modern day thoughts and the information about the aboriginal life was unsubstantiated. No references bar one slip of a book about John Graham. Much of aboriginal life is not known to us or is to be understood. There was so much of the content I found doubtful and with no references to back up their claims there is a lack of believability and authority. Surely it's not legal to use a movie still from Jane Eyre on a book cover!